The new kid on the block- Spro Baby Fat John! 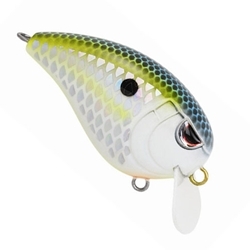 Spro Pro John Crews designed the Baby Fat John 50 to deliver a highly-specialized wide wobbling action that is made for tempting bass in shallow waters. Reaching a maximum depth of 2 feet with a wild hunting action that drives fish crazy. As with all Spro lures it comes right out of the package with sticky sharp Gamakatsu hooks.